Bank interest rate statistics consist of data on interest rates that resident monetary financial institutions (MFIs) except central banks and money market funds apply to the euro-denominated deposits of, and loans to, households and non-financial corporations resident in the euro area, as well as data on the volumes involved. These harmonised statistics are used to analyse monetary developments and the monetary transmission mechanism, and to monitor financial stability. 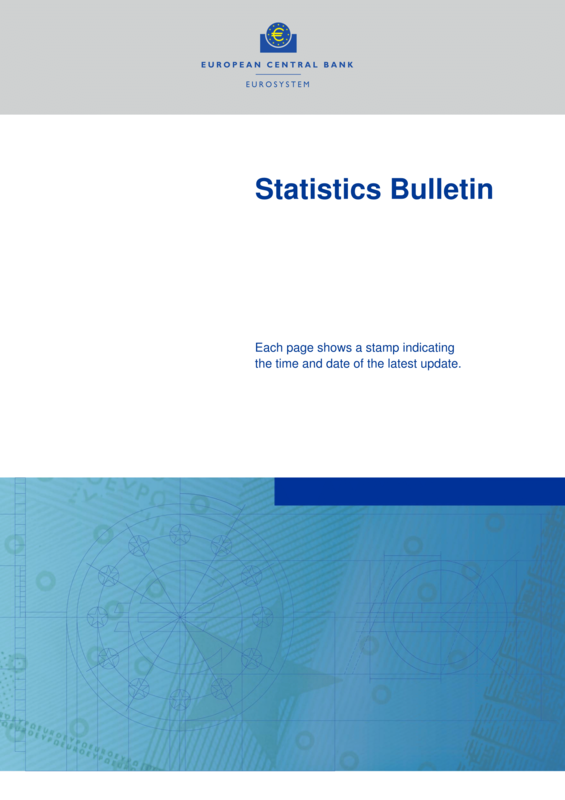 Bank interest rate statistics, collected on a monthly basis, provide indicators covering all essential instrument categories for euro-denominated deposits and loans. It also covers for the non-euro area countries deposits and loans denominated in national currency vis-à-vis households and non-financial corporations resident in the reporting country. There are breakdowns by original and residual maturity, period of notice and next interest rate reset, as well as initial period of interest rate fixation. Loans to households are further broken down by the purpose of the loan, while new loans to non-financial corporations are categorised according to the size of the loan. In addition, information on loans with collateral and/or guarantees is collected. The statistics are produced for the euro area as a whole and individually for each EU Member State. The euro area bank interest rate statistics are calculated for each of the 117 instrument categories as a weighted average of interest rates in individual countries. Bank interest rate statistics are published in a monthly press release on the 23th day working day after the end of the reference period. 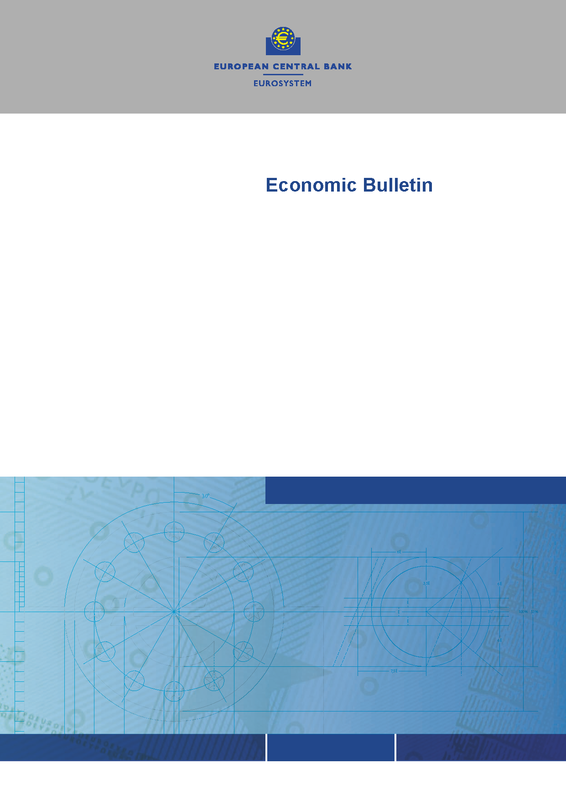 They are also published in various deliverables, namely: the Statistical Annex of the ECB’s Economic Bulletin, Statistical Bulletin, Annual Report and the ESRB Risk Dashboard. Bank interest rate statistics refer to the interest rates that are individually agreed between a bank and its customers. They can therefore be different from the advertised rates, as households and non-financial corporations may be able to negotiate better terms and conditions than those advertised. Bank interest rates are converted to an annual basis and quoted in percentages per annum. Bank interest rate statistics refer to instrument categories rather than to individual products. The instrument categories are largely consistent with those of the MFI balance sheet statistics. The coverage of the various instrument categories in the MFI balance sheet statistics is defined in Regulation (EU) No 1071/2013 of the ECB concerning the balance sheet of the monetary financial institutions sector (ECB/2013/33). In the case of deposits, banks pay interest to their customers, but they may also charge fees. By analogy, for a loan, the customer has to pay an amount comprising an interest rate component and a component made up of other related charges. All but two bank interest rate indicators exclude these charges. The two exceptions are the series collected for consumer credit and lending to households for house purchase, where – in addition to a rate without charges – the annual percentage rate of charge (APRC) is also computed. The APRC is the effective lending rate that covers the total costs of the credit to the consumer. Of the 117 indicators referred to above, 91 relate to new business and 26 to outstanding amounts. · all new negotiations of existing deposits and loans. Existing deposit and loan contracts that are prolonged automatically, i.e. without the active involvement of the customer, and do not involve any renegotiation of the terms and conditions of the contract, including the interest rate, are not considered new business. Bank interest rate statistics on new business thus reflect the demand and supply conditions in the deposit and loan markets at the time of the agreement, including competition with other types of financial institutions and products. Interest rates on bad loans and loans for debt restructuring granted at rates below market conditions are excluded from these statistics. Bank interest rates on new deposits with agreed maturity are broken down by the original maturity of the deposit, while interest rates on deposits redeemable at notice are divided into separate categories according to the period of notice. Bank interest rates on new loans are, in turn, broken down by initial period of interest rate fixation. Separate information is collected on interest rates on loans to non-financial corporations with a period of initial rate fixation of up to one year and original maturity of over one year. As of reference period December 2014, additional information is collected on renegotiated loans. In particular, new indicators were introduced in Regulation ECB/2013/34 and in Guideline ECB/2014/15 referring to new negotiation of loans to households, broken down by purpose of loan, and new negotiation of loans to non-financial corporations. Both interest rates and corresponding business volumes are available. · Interest rates on outstanding deposits cover all deposits held and not yet withdrawn by customers in all the periods up to and including the reporting date. · Interest rates on outstanding loans cover all loans extended to and not yet repaid by customers in all the periods up to and including the reporting date, excluding bad loans and loans for debt restructuring at rates below market conditions. MFI interest rates on outstanding amounts are hence statistics on the interest rates actually applied to all “open” deposits and loans. Interest rates on outstanding amounts are provided with a breakdown according to the original maturity of the deposit or loan. Further breakdowns by residual maturity and period of next interest rate reset are available for loans as of reference period December 2014.